If there is one thing about search engine optimization that you can safely bet on, it’s that it will change. I began my SEO career a little later than many of my colleagues. I never got to see the explosive benefits that a website would get from mass directory submissions, reciprocal links or nofollow PageRank sculpting. By the time I was cutting my teeth, many of those activities were being phased out by Google’s strategic algorithm updates. Penalties were issued for this hack or that one, until February 2011 when Google rolled out a serious update that shook up 12% of all search results. It was after this update happened that the message became crystal clear. Google is ultimately concerned with relevance and user experience. Any attempt to circumvent either, or both, of these concepts will be met with a rankings struggle. Pages with thin or useless content, content farms and sites with ads that outweigh content were hit hard. In April of this year, Google rolled out another major update that was intended to crack-down on spam, over-optimization and links that don’t add value to a user’s experience on your website. These updates didn’t shake up the way I was doing things, however. As far as my SEO philosophy was concerned things like advertisement-heavy microsites, irrelevant content and dodgy link schemes have no place in any website that was valuable enough to get a marketing budget. That’s not to say there isn’t a toolbox of super-cool tricks that any SEO can use to increase your ranking potential for a set of target keywords. The secret is learning how to work together with search technology in a way that not only makes your site easier to crawl and index, but also improves the overall experience for your visitors. Earlier this year Search Engine Land published a post comparing a SEO account manager to a SEO janitor. It’s a great post, and I recommend that you spend some time reading it. While a lot of on-page work involves scrubbing previous SEO’s activities, cleaning up old code, devalued strategies and polishing up keyword targets, the janitor comparison doesn’t begin to come close to describing how cool a job like this really is. Each and every website that you visit is a machine with an engine, style and a functional purpose. As with any machine, your website needs regular maintenance. SEO tactics that worked 6-7 years ago don’t always hold up as well today. Maybe you designed your site’s navigation to disperse internal PageRank with nofollow attributes. Since Google changed the way links consume PageRank in 2008, all this fancy nofollow menu will do today is absorb valuable authority without passing it on to your other important pages. Removing these nofollow attributes from your menu will allow PageRank to flow freely and naturally through your website. 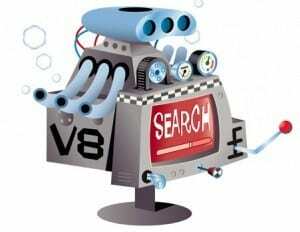 More importantly, search engine robots will be able to navigate your site with the same natural flow. Perhaps your web developer thought that they could raise your local rankings by making exact duplicates of your website on 15-20 geo-targeted subdomains. While this could potentially raise your rankings for a little while, your site will ultimately be caught by Google’s duplicate content filter, which can make a ranking adjustment that would cause your site to disappear from search. In order to avoid accidental duplicate content, many webmasters would choose to noindex/nofollow paginated blog archives. Since Google announced pagination with rel=“next” and rel=“prev”, blog archive pages no longer have to weigh down the rest of your site. Whether or not they know it, many webmasters are adding next/prev and canonical tags to pages that also employ noindex/nofollow. All this will do is add three lines of code that are basically useless; sort of like installing seat belts in a car with no wheels. While going through your website we’re looking at all the individual parts, how they work together and how easily a search engine spider can crawl from page to page. One of our key on-page optimization goals is to make sure that a spider can get through your website as efficiently as possible, while picking up as much key information that we give it. While it shoots through your site we make sure that it can see every important detail of your web pages, in the way that you intend it to be seen. Do you need Google to understand that your three business locations use the same phone number? If you have three different addresses on your contact page, how will search engines know which location to display to someone searching from a specific region? As the newest member of the on-page optimization team at seOverflow, it is my goal to help you bring your website to a high standard of efficiency. I check to make sure your keywords are appropriately framed in solid content. I look at all of the moving parts to clean out any blockages (crawl issues), make sure that they are well-oiled (updated keyword strategy) and free of rust (outdated SEO tactics), and ready to be topped off with a full tank of fuel (link building). Regardless of what type of machine your website is, from a luxury sedan to a zippy little rat-rod, or even a charter bus; regular on-page maintenance will keep your site up with the latest search technology standards and maximize the potential of your ongoing SEO program. Great post Rick. It is good to see the direction our industry is headed through the eyes of someone who isn’t attached to the past. Rick Ramos completed an internship with SEO expert Everett Sizemore in 2009 and has been fascinated by organic search ever since. He enjoys solving SEO problems that allow him to use tried-and-true tools and methods in unconventional ways.